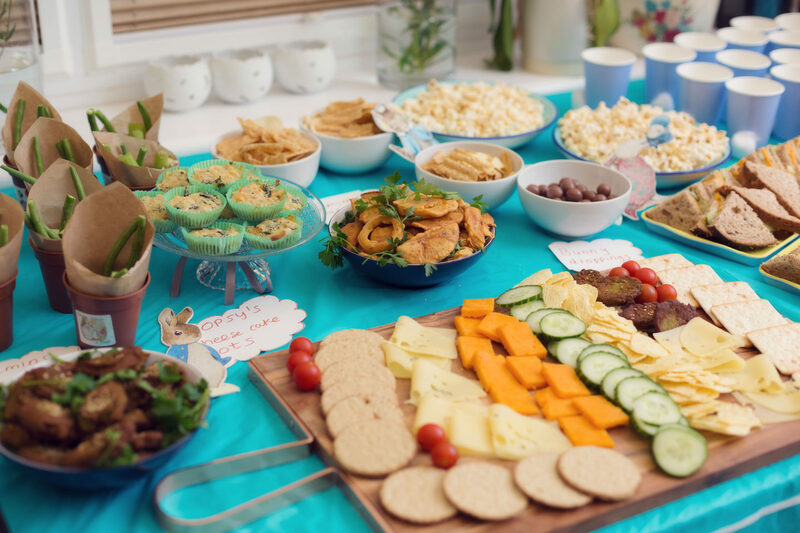 Organising a children’s birthday party although can be very exciting for the kids, is a nightmare for parents to organise. Well maybe that is an over statement, but it is hard work and takes a lot of effort and TIME. I am about to give you a down-low on how to organise a children’s birthday party. Follow these steps and you are sure to pull off a party that everyone will be talking about for days. Probably the hardest part of the planning process especially when you are inviting 30 kids! I always say if you can host the party at your home, then make this your first option as you don’t have to worry about getting to the venue, carrying the props/food etc. If you cannot, then chose an ideal location for you, i.e close by, big enough with reasonable space and facilities to meet your needs. If you want a bouncy castle to be present, make sure the place will allow you to hire one and ceilings are high enough. Some halls will allow you to bring your own food so do be sure there is a kitchen to hand. 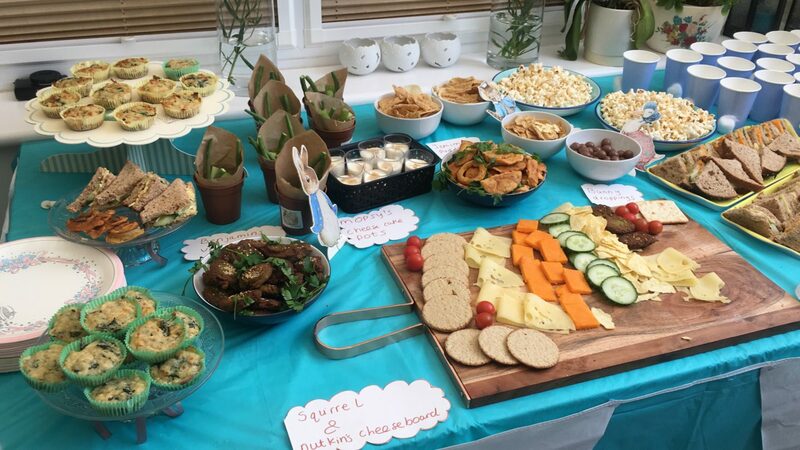 If you don’t fancy lifting a finger (the Chelsea mum in me), then hire out an area in a restaurant where everything will be organised for you including the party food. Party entertainers and cake will probably still need to be organised by you. Once you have a theme sorted, you have got the ball rolling and on your way to planning an awesome party. Don’t chose a theme you think your child will like, ask them, at the end of the day, it is their party not yours. 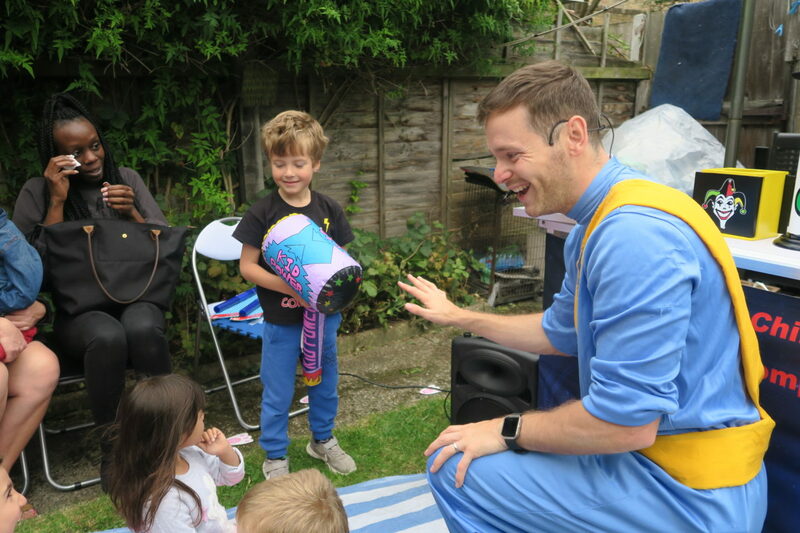 Now this can be challenging because there is an abundance of children’s party entertainers out there and I guess it’s a job of going on past experience, word of mouth or trying your pot of luck. I came across the awesome, and I mean frickin awesome Captain Fantastic. Their vision? ”To create happy, lasting family memories through the entertainment and education we provide”. They did exactly that. I highly, highly recommend them for children’s birthday parties. 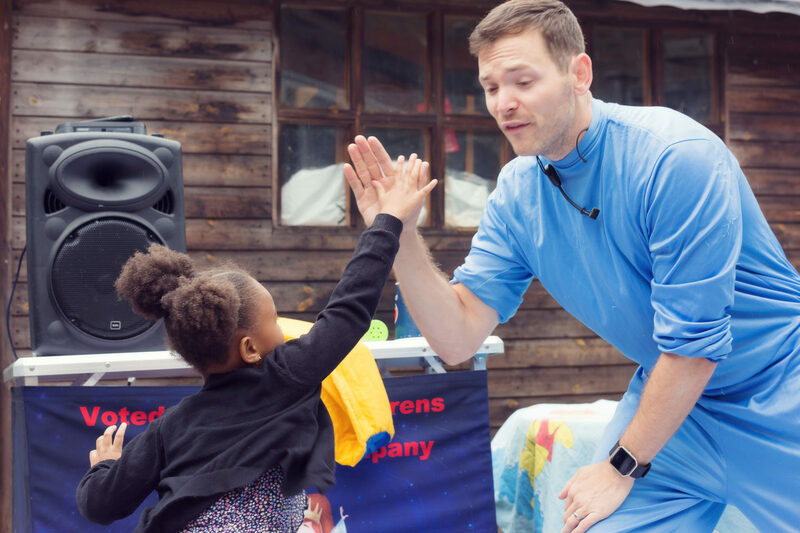 They believe in the three E’s: Entertain, Educate and Engage and they delivered just that and the kids adored the one hour entertainment. All the parents were raving about him and you know if that happens then you have pulled off a great party. They are honestly speaking the best I have seen and the kids thoroughly enjoyed the show. Check their website for further details on themes and extras that they provide. 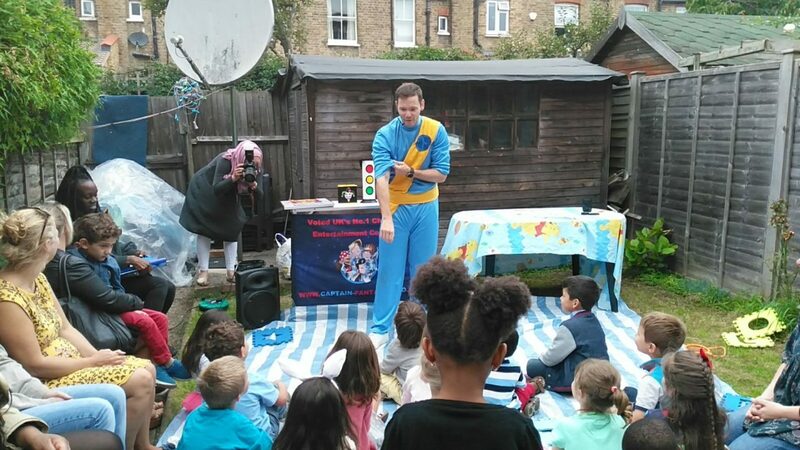 I would highly recommend an entertainer for a children’s birthday party because not only are the kids getting some fun, but it is also about an hour of your time to organise other bits and pieces for the party. Plus it gives the mums some mingling time. Be warned, good entertainers get booked up and especially on the weekends where most parents hosts parties so plan in advance. Now it in entirely up to you how you do it. You could send either e cards (paperless cards are good) or paper cards, whichever works best for you. I couldn’t find e cards that I liked and found a Peter Rabbit invite which I liked on eBay. If you have a large number of attendees, e cards are probably the easiest way and you can track the response easily. Once you have the theme sorted, the props will be an easy enough job. I find Amazon the best for buying party gear. From plates and cups to banners and costumes, they have a full range of items to cater your needs with varying quantities. 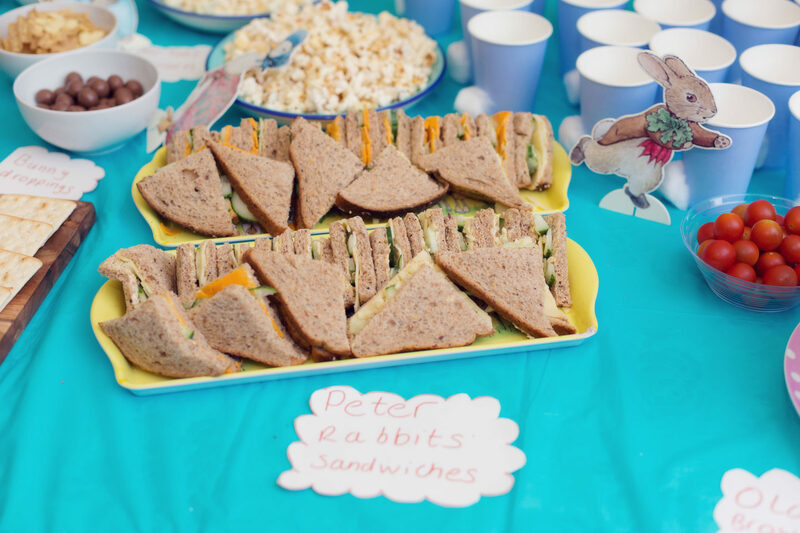 For this Peter Rabbit theme, the balloons, banners, table accessories were all sourced from Amazon. A tip for you: I would stick to a colour theme. You don’t want multicoloured party theme because it can look quite tacky. I reckon a maximum of two colours would do the job. 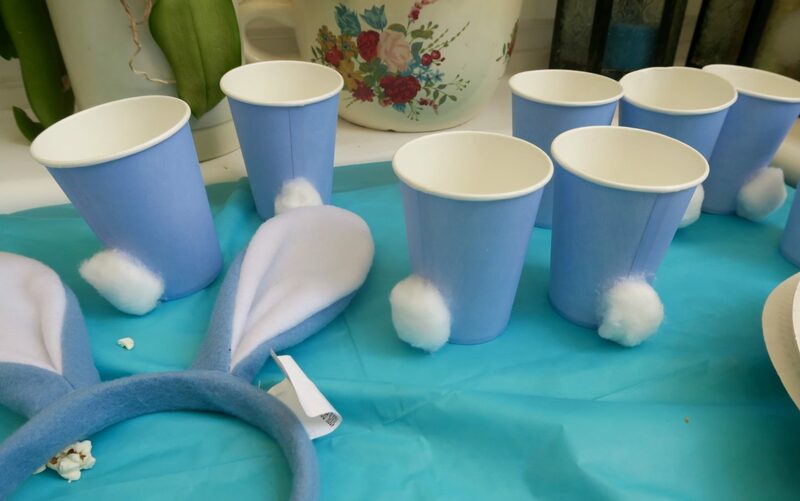 So for the Peter Rabbit party I pulled off, I chose blue and white colours to decorate the venue. 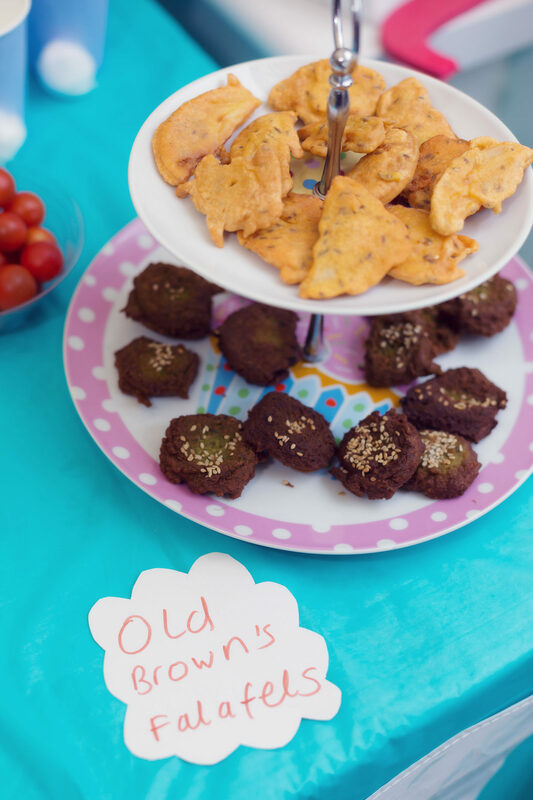 I also labelled all the food to coincide with theme e.g Benjamin’s Vegetables, Old Brown’s Falafels. It gives a nice touch to the party. I would recommend ordering the food as it is less of a headache. I usually do a bit of both. I highly recommend ordering sandwich platters and my top choices are M&S, Pret a Manger or Waitrose. You can go generic and order party bags and little goodies online or be original. I am the latter:) Last year for the Paw Patrol theme, I gave the kids puppy adoption cards and a choice of puppy to pick with a small bag of sweets (emphasis on small). I dread the party bags when I go to parties and have to hide a few sweets from the little one before he catches sight of them. 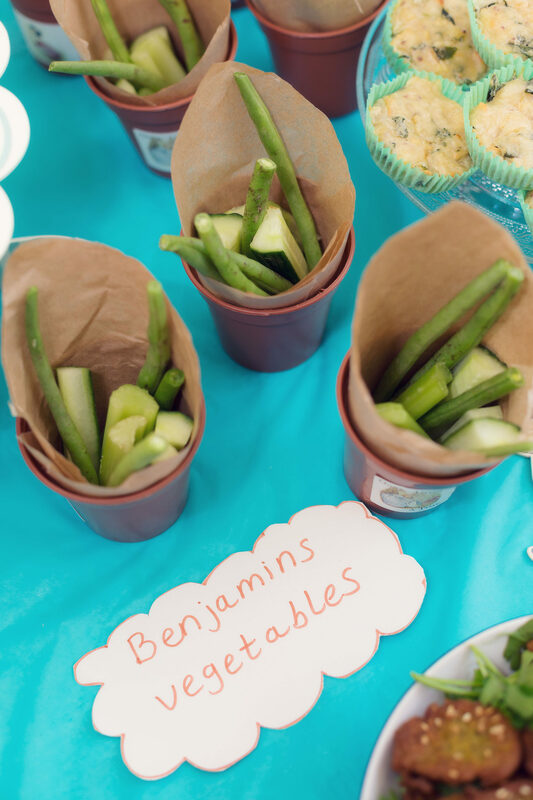 For the Peter Rabbit party, children went home with a garden pot and some vegetable seeds to plant and again with a bag of sweeties. I find being original is a better option, plus it is more fun and exciting. Last but not least, probably the most important part of the party and one that the children most look forward to. If you are talented, and have the time, make your own cake. I usually do as I find the cakes contain far too much sugar and actually doesn’t taste any good. There is nothing more rewarding than see your creation and the child’s face light up. 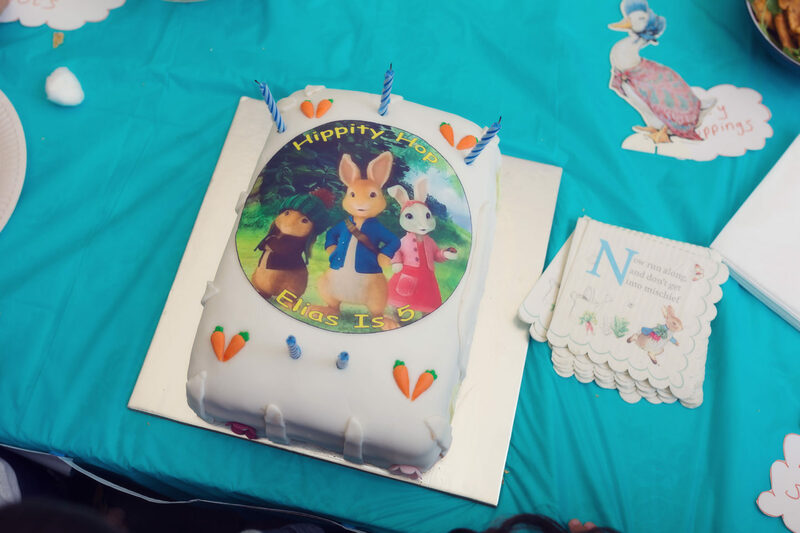 For the Peter Rabbit party, I chose to do a vanilla base and a separate chocolate layer to cater for all taste buds with chocolate cream filling and I finished it off with white fondant icing and decorated using icing and edible props. If baking is not your forte, I would go by recommendation in choosing a baker. My first port of call would be Hummingbird cakes. They will never fail. My favourite are the signature hummingbird cake, the carrot and red velvet cakes. Or if you are looking for something healthy, then Clean Cakes are divine! The avocado lime and courgette cake is one of their specialty cakes which I love. They are all gluten, diary and sugar free. 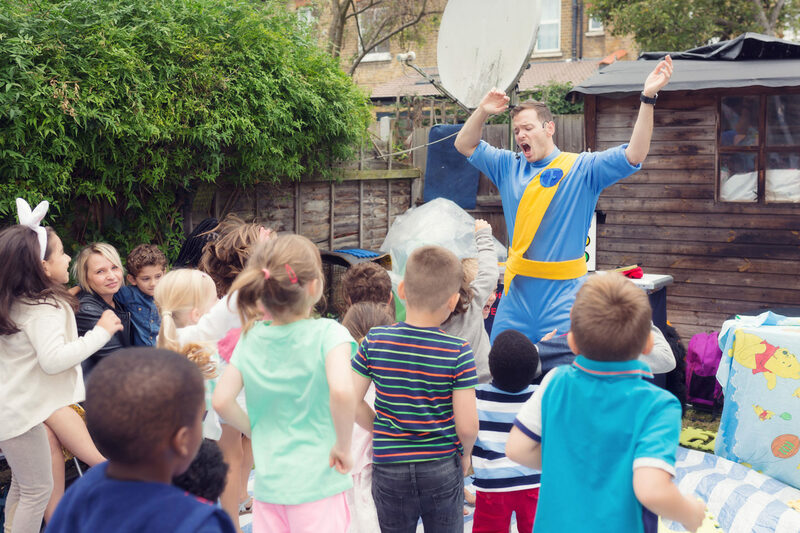 There you have it, some tips on creating the best children’s birthday party. Take away tip: Plan in advance and go by recommendation for the party planner. Any other tips you want to share? Do drop me a line.